We live in a culture that glorifies and rewards overwork, stress and busyness — all of which can leave us feeling empty, exhausted, or even chronically ill. I support mid-life professionals like you who have had enough of the status quo. Together we will work to transform you mindset by tapping into your creativity, your body, and the natural world to guide you toward an embodied life that is aligned with what you really want. We are likely a good fit for each other if one or more on the list below sounds like you! You are committed to creative change in your life, willing to do hard work and take risks, and willing to be held accountable. You believe that sustainable change comes from the inside. You are deeply inspired by nature. You enjoy playfulness, creativity, and depth. You love to bring seemingly disparate ideas together. You are driven and thoughtful. You are turned off by busyness as a status symbol. Transforming your mindset to embody a more creative life is different for everyone. Past clients have discovered and committed to a creative calling, stemmed overwork to have more intimate time with family, deeply owned their sense of purpose, created ways of working that provides a regular income and time with their family, and realized they don't have to go back to school to get what they want — just to name a few. Here's how it works: Contact me via the web-form below to set up a time to talk on the phone, and I’ll also send you an agreement for you to review before out session to get a sense of the commitment involved. I’ll ask you set aside approximately 75 minutes for our interview. If we feel mutual resonance after the first 20 minutes of the interview, we can move right into our first session — or schedule our first session. We’ll discuss payment and signing the agreement at that time as well. I will never pressure you. 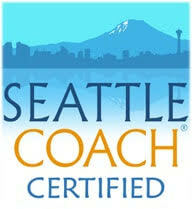 COACHING, PSYCHOTHERAPY, AND CONSULTING: WHAT IS THE DIFFERENCE? Typically the difference between a coach and a therapist is that coaches focus on moving forward toward a desired change, and psychotherapists focus on healing the wounds of the past, with both practices utilizing knowledge of human behavior, motivation, behavioral change, and interactive counseling techniques. People who seek coaching are generally in good health and want to deepen their relationship with their inner guidance and move forward accordingly. In contrast, psychotherapy is a health care service people seek out to restore their emotional selves back to health, and frequently reimbursable by insurance. Consultants are experts in a particular field who you hire to help you solve specific problems. A coach will never presume to be an expert on your life. Coaches are not subject to government oversight. As a commitment to my clients and my integrity I keep my accreditation up-to-date and adhere to the International Coaching Federation's Code of Ethics. I'm facing big transitions in my life, including a new baby and a new profession. Before I spoke with Kay I felt overwhelmed, convinced that my problems were impossibly complicated. Working with Kay helped me articulate what matters most to me so those values can guide my next move. I now see opportunity -- not just stress -- in transition. Coaching with Kay was empowering. I got the opportunity to create together with my coach, a vision of what I wanted to accomplish and where I wanted to go. The process of coaching exposed the subtleties of the influence of my 'subconscious' on my present life, and through that process, small but practical and useful changes were added to begin the journey towards my destination. The best part was getting a glimpse of how I could tap into myself and my surroundings to empower my transformative journey. Kay is an excellent coach. She has helped me make choices that move my small business forward and that help me enjoy my free time without always thinking I need to be worrying about work. At the same time I never feel that I've 'hired a business coach' but rather that I have a wise and impartial friend to talk to. Smarts without judgment is one thing I really appreciate about Kay. I worked with Kay for a session this summer and she was fantastic. She was thoughtful, reflective, and an out of the box thinker. She pushed me to dig deeper into areas of work and life where I could create positive change, but was always respectful in doing so. I have continued to use the tools that I learned during our session. Thank you, Kay! Kay is an excellent listener and she helped me identify specific areas to focus on to be more successful with the topic I was seeking coaching on. She is non-judgmental, intuitive, and wise. If you have gotten this far, why not drop me a line to learn more. My goal is to find out if we are meant to co-create together. I will never pressure you. I look forward to connecting! My vision is a world where people can sustain creative and fulfilling lives guided by the embodied knowledge of what matters most to them and their limits. I believe following this way of life not only has a profound personal impact, but it will also affect our economy, and our biosphere in positive ways. When you are guided by what matters most to you, you look for meaningful experiences rather than superfluous consumption and distractions. Coaching is a powerful tool to bring this vision to life, a vision I have come to via a series of profound reckonings with what it means to be successful. When I was young, I was a classic overachiever. I got the good grades, did all the right extracurricular activities, and got into all the right schools. I was on track to be medical doctor. And then I wasn’t. I became wracked with anxiety and depression, and my plans had to change. I regrouped and made my way back into the world, and I found myself on the path to become an academic. Just as I was about to enter McGill University in Canada to pursue my Ph.D., I could barely muster enough energy to make it through the day. It turns out I had thyroid cancer. I pulled out of the Ph.D. position and focused on my health. My recovery from cancer took nearly four years, and I was rocked to the depths of my soul. During this time I managed to hold onto a job, but it was nothing like what I had originally planned for myself. At this point I was still holding on to many of the external trappings of what it meant to be successful, and my career track left me feeling dissatisfied at best, and worthless at my lowest points. Fortunately, I met the man who became my husband just as I was beginning to feel better. He demonstrated the deep healing power of love. I found satisfying work that was challenging and — I thought — impressive enough. About three years into our marriage my husband and I decided to start a family. It was easy for us to get pregnant, and we anticipated the birth of our first child with nervousness and profound joy. At 35 weeks of pregnancy, the doctors discovered the baby I was carrying had died. To say we were devastated is an understatement. Everything that was once important to me, no longer mattered. Going back to work seemed and utterly meaningless. Eventually I did go back to work, and I did have another baby, who is now happy and healthy. However, the death of my first son forever changed my life. I no longer wanted to do something simply because it was impressive. I wanted to do work that complimented the life I was given, a life fulls of contradictions, tragedy, and great beauty. When I discovered coaching, I knew I had found a path that would allow me to do what matters to me: create deep connections, move my body, care for my family, serve people and the planet. I completed my ICF certified training with Master Coach Patrician Burgin in 2016 and gained my coaching accreditation (ACC) in 2019. I also work with the ThirdPath Institute as an Integrated Life Advocate to support people with the ongoing process of integrating work and life. I have my ups and downs just like you, but I do know that I am embody a path that is true to myself, and for that I am profoundly grateful. Originally from the Black Hills and the Upper Great Plains, I have called Seattle my home for over 20 years. I have Master's Degree in Comparative Religion from the University of Washington, and I have worked in writing, editing, and research development, helping to raise nearly $15 million for projects and programs. Here are several of my core beliefs to help to get you to know me better. We don't have to agree on these to co-create. I believe that creativity is comprised of the small decisions you make every day. The smallest embodied changes pack the biggest punch! I believe in our the inherent intelligence of the body. I don't believe everyone has one calling. Some people have one; some people have many. I believe that fulfillment is an inside job. I don't know if thought begets emotion or emotion begets thought, and neuroscience hasn't convinced me one way or another, so let's call it a mystery and move forward. I believe God is love and also the great allower (see the contemporary Franciscan mystic Richard Rohr for a more thoughtful take on that statement). I identify with being a contemplative mystic. I believe we can tap into a life energy beyond the analytical mind to help guide our lives more intelligently than our analytical mind ever could (see God, above). However, I firmly believe the analytical mind has a very important place in our life. Many indigenous traditions exemplify this understanding. I love this Arab proverb: Trust in Allah, but tie your camel. I don't believe everything happens for a reason. I believe when you know what you are looking for it is significantly easier to find. I believe privilege really matters. Structural racism, classicism, sexism, ageism, ableism, sizeism are painful and real obstacles to creating a meaningful and embodied life. I don't think we treat families well in the United States. We need policy- and corporate-level change to improve the integration of our work and lives, and I believe embodied creativity coaching can inspire powerful individuals in decisionmaking positions to create these changes. I think one of humanity's biggest challenges is to learn how to create economies where people thrive and simultaneously respect our limits and the limits of the natural world. I'm socially liberal and believe in smart and dynamic governance.